April Gertler received her BFA, (1997) at the California College of the Arts, Oakland, CA and her MFA, (2002) at Bard College, New York. After studying at the Städelschule in Frankfurt am Main, Germany April moved to Berlin where she has been based since 2005. April is the Founding Director of PICTURE BERLIN which she started in 2009. April’s work, ranges from collage, drawing, photography, performance and social practice. Her work has been exhibited internationally and most recently in France, Germany, New York and Denmark. She regularly brings people and ideas together from various places and sources to create something new. This can be seen through examples of various projects: In 2012 April and the artist Adrian Schiesser started Sonntag, which uses a domestic space to present works by Berlin based artists once a month, April and Adrian won the Projectspace and initiative prize for Sonntag given out by the Berlin Senat in 2018. 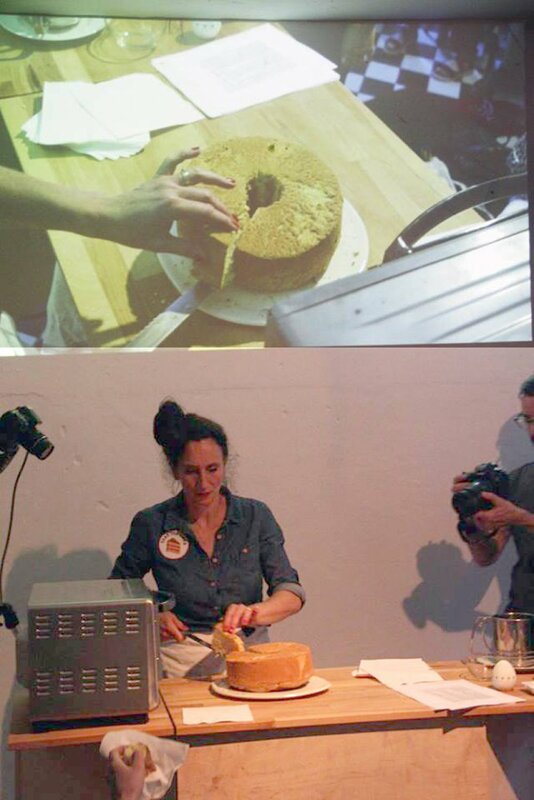 April has recently developed a new format of performance by marrying the concepts of a Baking Show with Lecture Performance. The concept involves baking a cake live while she speaks about feminist discourse that highlights elements of capitalistic desire. The performance Take the Cake, has been performed multiple times, and she won a Berlin Cultural Resarch Grant in 2016 to explore and develop this project. April is the Founding Director of PICTURE BERLIN.